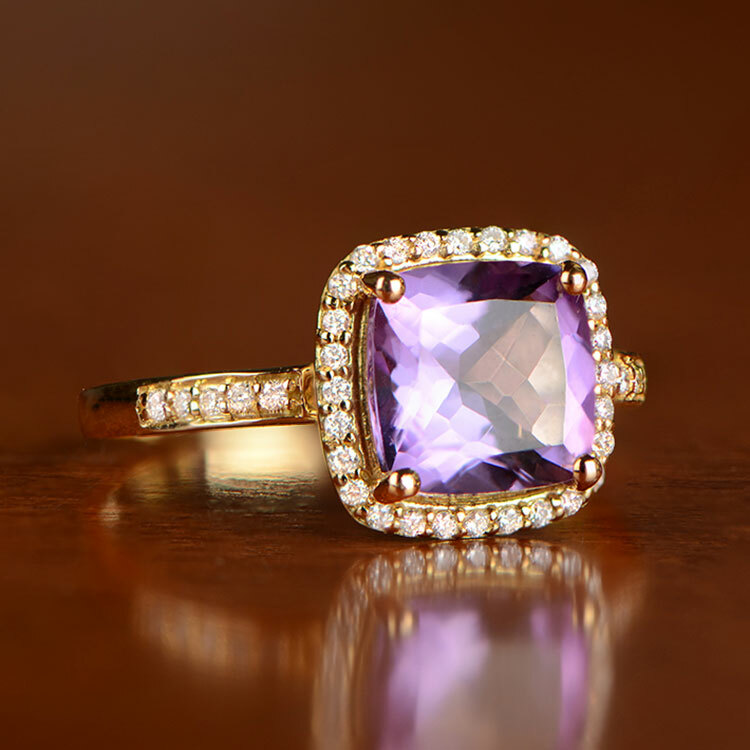 The Madison Ring showcases a deep-purple amethyst in the center, and is surrounded by a halo of diamonds. Along the shoulders are additional diamonds. The under-gallery features floral-motif openwork filigree. 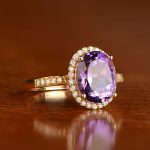 The center amethyst weighs approximately 1.80 carats (dimension: 8mm x 8mm) and the diamonds have a total weight of 0.15 carats. 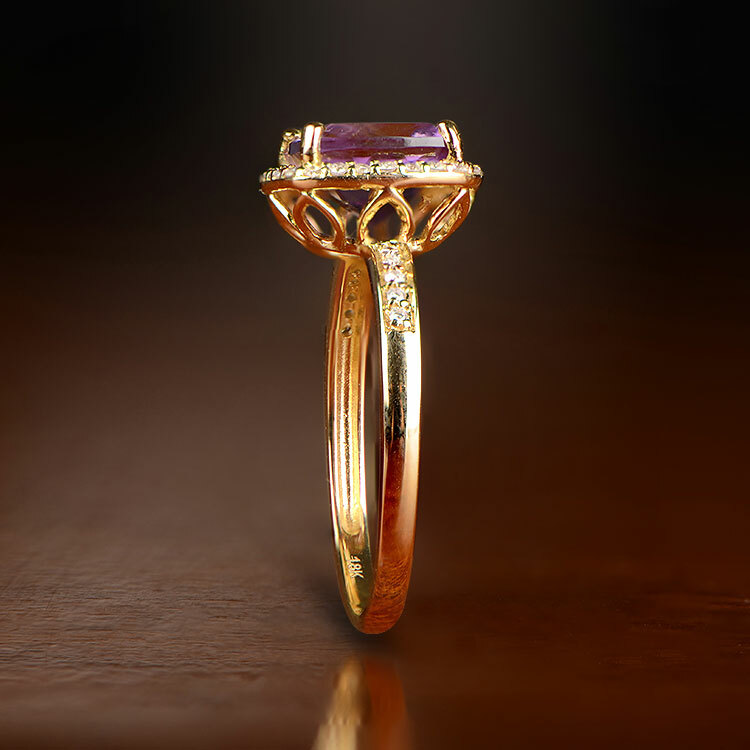 The mounting is 18K yellow gold. 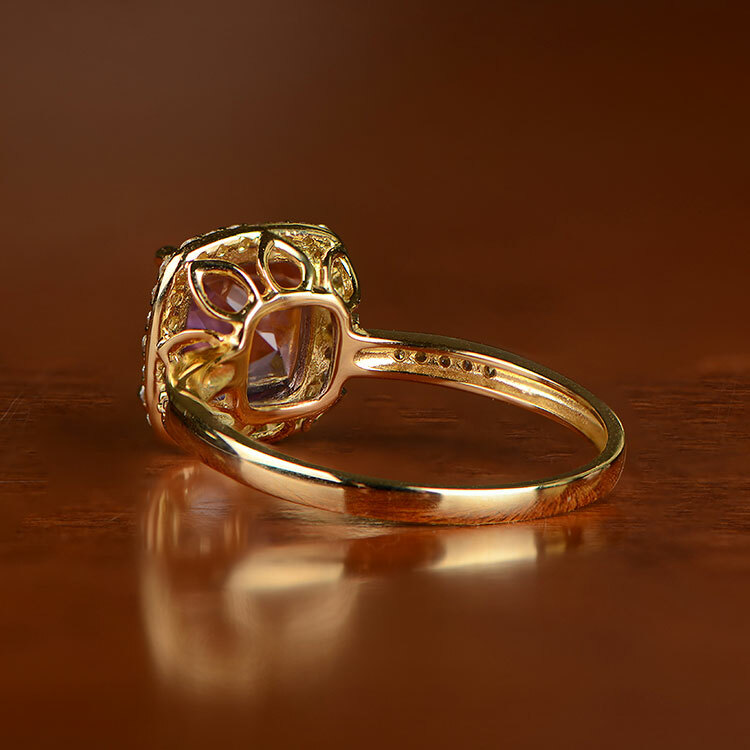 If you have any questions about or Madison ring, please feel free to contact us. 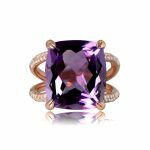 SKU: 12212 Categories: Amethyst Rings, Birthstone Jewelry - Contact us and request additional pictures.